Editor’s note: Schools are working with Google for Education Premier Partners to throw open their doors for the ExploreEDU event series, which invites neighboring educators to learn first-hand from their own experiences using Google tools. To see if there’s an event near you, visit the ExploreEDU site. Today’s guest authors are Jon Orech and Lisa Lichtman, Instructional Technology Coordinators from Community High School District 99 in Downers Grove, IL. 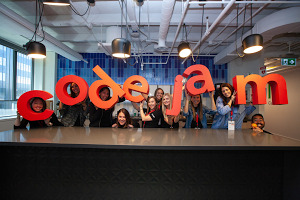 They hosted an ExploreEDU event on Jan. 26–27 with CDW. At District 99, we want to help students be better learners. In 2014, we decided to launch a 1:1 pilot with Chromebooks, involving more than 40 teachers and 1,500 students. 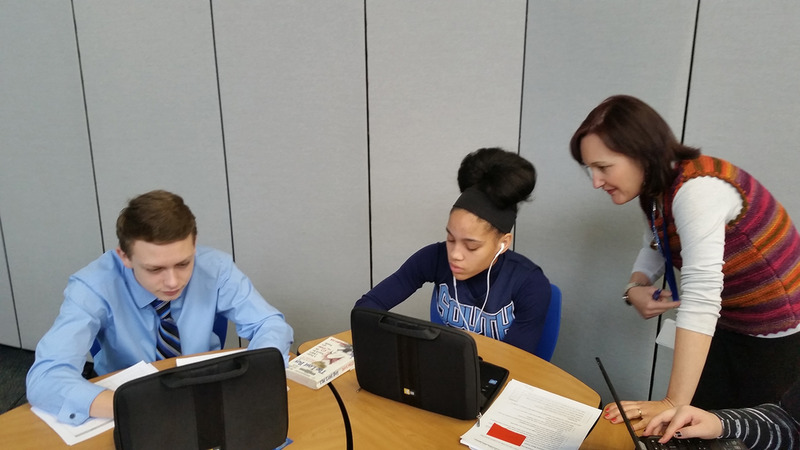 Students that participated in the pilot reported that these tools increased collaboration and encouraged self-directed learning, and we launched the program district-wide last fall. We’ve learned a lot of lessons about how to introduce and get the most out of technology—here are a few tips. To get support for new technology and ensure its success, it’s important for everyone to understand the reasons behind the change. Before we introduced Chromebooks and G Suite for Education, we spent a lot of time talking to students, parents and faculty members, and organized professional development training for teachers customized based on their technology comfort levels. We made sure everyone understood how Google solutions aligned with our district’s values, one of which is collaboration. We demonstrated how G Suite could help students be more collaborative by allowing them to work with their classmates on the same document at the same time no matter where they were, while also benefiting from immediate feedback through live comments. We wanted to make sure our teachers had the resources they needed to be successful in a 1:1 learning environment, so we created a private Google+ community for our 400 teachers to share knowledge across campuses, subject areas and grade levels; giving them access to a richer peer network. For example, in response to a thread about differentiating instruction based on unique student needs, a special ed teacher shared how she was able to push out different assignments to a subset of students using a recently launched feature in Google Classroom. Her post piqued the interest of other educators in a way other announcements couldn’t, since it was coming from a fellow colleague who had a positive first-hand experience with the feature. A 1:1 Chromebook model gives every student the tools to be creative anytime, anywhere. In one health class, students made documentaries about diseases that affect their families with WeVideo on their Chromebooks. In the past, activities like this required reserving time for research on a desktop in the library, but now, students have access to these creative tools whenever they want. Students using their Chromebooks in class. Chromebooks also make it easy for students to share their projects with the community. Our digital photography teacher asked her students to share their photos in an online Google community, where both their peers and invited professional photographers provided helpful critique on their photos. Through projects like this, students at District 99 are learning in new ways. Our experience has taught us how technology and a 1:1 environment can support students and teachers to be better learners and educators. We hope sharing these tips helps others looking for ways to improve learning and teaching in their districts.